Sufficiency in the campaign against ISIS requires reconciliation and the re-establishment of adequate governance, of basic services, of educational opportunities, local economy, rule of law. 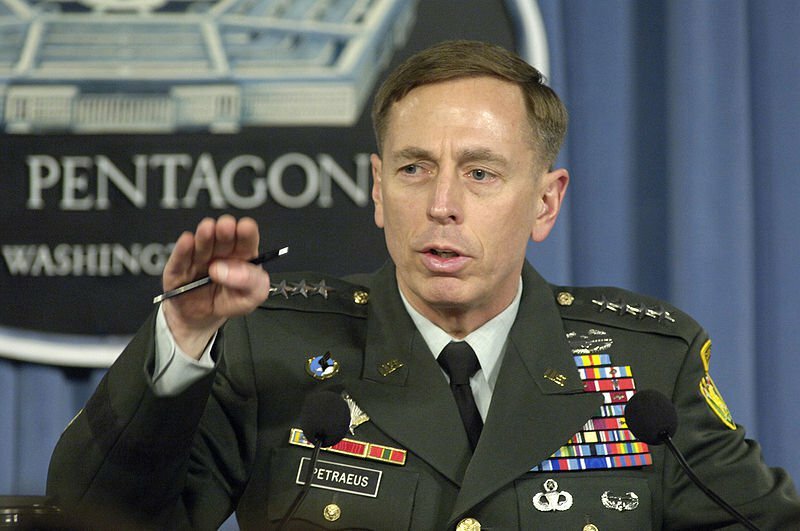 General (Ret) David Petraeus visited Bucharest in early May to participate to the Good Governance Summit organized by Strategikon. Defence Matters started a broader discussion with General Petraeus, the former commander of the Surge in Iraq and coalition forces in Afghanistan about the campaign against the Islamic State, future of war as well as the current great power revisionism. He warned specifically about the possibility that "after ISIS’s defeat there will still be disaffected, alienated elements in society, which could open the path for the rise of the next version of ISIS." You have usually emphasized that what mattered in Iraq in 2007/08 was the surge of ideas. What “big ideas” suggested in the famous Anaconda Slide are still relevant for what you also called “the battle after the battle” in the post ISIS Middle East? I have sought to emphasize that the battle that matters most in the fight against the Islamic State is actually the battle after the military battle, the battle after the battle of Mosul and the clearing of the Nineveh province. Indeed this is about the struggle for power and resources after the defeat of ISIS. It is about achieving governance that is sufficiently representative of all the different elements, sufficiently responsive to them within the means available, and about insuring minority rights as well as majority rule. That is of crucial importance. If that can be achieved, then you can avoid the reestablishment of fields that might be fertile for the seeds of extremism and the rise of ISIS 3.0. I have also sought to emphasize that in Iraq the surge that mattered most was the surge of ideas, the change in strategy, not the surge of forces. And you have to get the big ideas right. This kind of effort requires a comprehensive civil-military campaign in which the defeat of the enemy is vital but it is not sufficient. 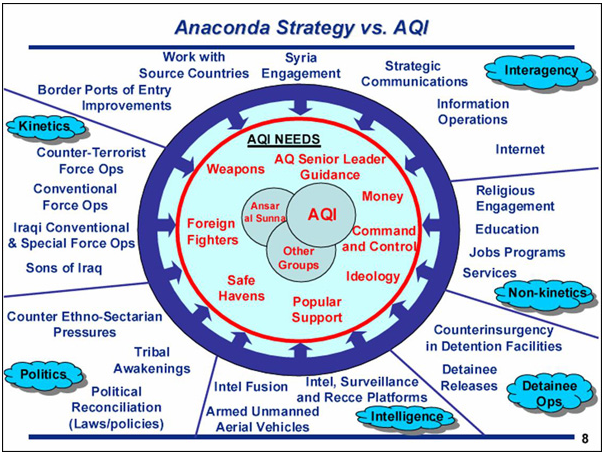 Sufficiency requires reconciliation and the re-establishment of adequate governance, of basic services, of educational opportunities, local economy, rule of law; all of these are required, and if you go back to the Anaconda slide we used during the Surge to depict all the different elements that were so important to a comprehensive civil-military campaign, you will see that only a few of those were the actual military component of the clear-hold-build campaign. All the rest is politics, governance, rule of law, economics. All of these components are necessary, and actually that is what defines sufficiency, not just the military element of a particular strategy. What I am concerned about is that after ISIS’s defeat there will still be disaffected, alienated elements in society, which could open the path for the rise of the next version of ISIS. Let’s remember that what was achieved during the surge, the dramatic reduction of violence by some 80-85%, was sustained and improved upon for a good three to three-and-a-half years after the end of the Surge, and it was only when the leader of Iraq, Prime Minister Maliki, pursued highly sectarian actions that undid all that we had sacrificed so much to achieve. In the history of counterinsurgency the golden standard remains Malaya. But as we look to a future where the tendency to work “by, through and with” host nations becomes the preferred way of COIN, shouldn’t we look more to the Dhofar campaign? The counterinsurgency campaign employed in Oman was brilliant and very worthy of study. It is, in fact, one of the cases that I studied carefully. Those who want to know more about it can read a delightful book by Sir John Akehurst who was Deputy Supreme Allied Commander Europe when I was privileged to be special assistant to the SACEUR, General Galvin. He participated in this campaign as field grade officer and wrote a book titled We Won a War. It lays out very clearly how a thoughtful, effective civil-military comprehensive campaign was waged by the then very young Sultan of Oman who still rules that country, an individual I have described as the Lee Kuan Yew of the Middle East. The Sultan has guided his country admirably. Although he did, of course, displace his father when he returned from the completion of Sandhurst, he proved to be an admirable leader and a tremendous partner for the elements from the United Kingdom who sought to enable the success of what really was a text-book case of comprehensive civil-military counterinsurgency campaign. I sure wish I could have had a Sultan Qaboos as my partner in Iraq or Afghanistan. What in the sultan Qaboos’s enlightened approach remains relevant for managing the insurgent potential in the broader Middle East? If you review what the Brits and the Sultan did, you will find all the elements of a superb civil-military campaign – establishment of local governance, training and equipping of local security forces, reconstruction of damaged infrastructure, re-establishment of basic services, and so on. 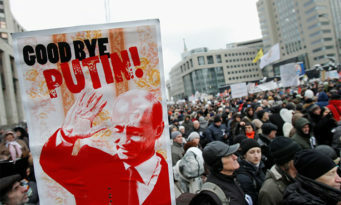 Shouldn’t we treat contextually Russia and to a certain extent China more like insurgent actors? They are trying to hollow out and subvert the established rules of the road and create their own sphere of influence. I believe that the so-called rules-based international order is under the most stress and strain since the end of the Cold War. My view is that the multinational organizations and financial institutions established in the wake of World War Two, as well as the norms and principles that have generally guided the relations among states since then, have stood the world in reasonably good stead. The rules-based international order is, I believe, worthy of sustainment, of maintenance, of defense from those who would like to undermine it and who perhaps want to remake the rules or not observe the rules. We see very clearly what different countries around the world are doing, that the so-called revisionist powers are not satisfied with the status-quo and would like to change it in some fashion. In some cases they have legitimate reasons for that. For example, the desire of China to see that their voting rights inside the IMF reflected the reality of their dynamic economic growth. 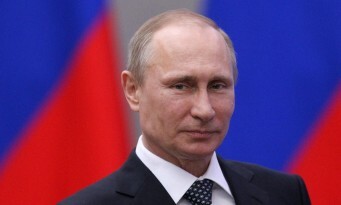 In other cases we really see Russia and Iran trying to assert themselves aggressively in their respective regions. Where do you see the character of war going having in mind the broader trends that we see in the operational environment – megacities, the end of power (as Moises Naim would say), but also the resurgence of the XIX century mindset of the great power politics and competition? I think there is another very important dynamic, beyond those that you just mentioned, and that is the likelihood that most wars in the future will be fought in areas where there will be a lot of innocent civilians, very likely in urban areas. It is very unlikely that we will see a reply of Desert-Storm, which was essentially a tank-on-tank war out in the middle of the desert, with very few civilians on the battlefield, an ideal situation for the U.S. military. The other dimension that is emerging and is so important now is the emergence of a new battle space, cyberspace. 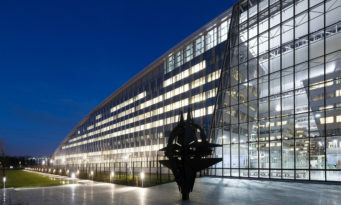 It is the effort to degrade or perhaps completely defeat capabilities of one’s adversary through activities in cyberspace and the electromagnetic spectrum. We always had some of this, but this new age opens all kinds of new opportunities and new challenges. The fact is that the United States is not only arguably the most capable or certainly one of the most capable in the new arena, it is also the most vulnerable because of the sheer connectivity in US society and the rise of the Internet of Things. 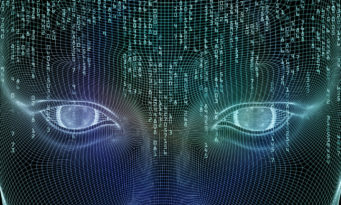 We’ve seen many of the other elements in the past that have asserted themselves – religious extremism, insurgency, guerilla activities, and terrorist attacks, but the additional element that will be new is the rise of the robot in the military domain, where at some point it may be conceivable to talk about a robotic wingman. We already have unmanned systems and we will have, increasingly, autonomous unmanned systems. The advent of all of this opens up all kinds of new opportunities to the point that one can imagine semi-autonomous systems fighting the enemy’ semi-autonomous systems. Having said that, I believe that at the end of the day war will still be a human endeavor; moreover, the causes of war are likely still to spring from mankind rather than from technological advances. How do you see the latest approach highlighted by the Trump Administration for the Af-Pak region? How does winning look like in Afghanistan? Is Pakistan and changing its behavior of providing safe-have to the Taliban insurgency the real center of gravity in this fight? I strongly support the administration’s decision to provide additional resources to the effort in Afghanistan and to ensure that the commander has the authorities he needs to employ our precision air attack assets against all of the insurgents trying to take down the Afghan government forces. “Winning” in Afghanistan is ensuring that Al Qaeda and ISIS and other transnational extremists cannot establish the kind of sanctuary in Afghanistan that AQ had when the 9/11 attacks were planned there and the initial training of the attackers was conducted there. This could, of course, mean that we are engaged in Afghanistan at some level for a considerable period of time. But if the cost of a sustained commitment is sustainable, then that is warranted, I think. Finally, Pakistan clearly is hugely important in this endeavor. And my hope is that any sanctuaries in Pakistan for the Afghan Taliban, Haqqani Network, and other extremist and insurgent groups on Pakistani soil will be eliminated. General (Ret) David H. Petraeus is Chairman of the KKR Global Institute. Prior to joining KKR, Gen. Petraeus served over 37 years in the U.S. military, including command of coalition forces in Iraq, command of U.S. Central Command, and command of coalition forces in Afghanistan. Following his service in the military, Gen. Petraeus served as the Director of the CIA.